Do you want to know your body composition so you can have some vital data about your health? If you want to know, then you can use the Omron HBF-514C Full Body Composition Sensing Monitor and Scale. 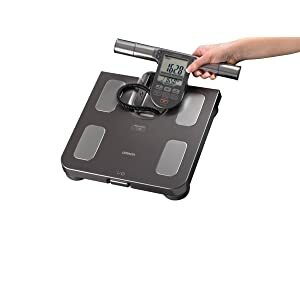 If you think that your weight is all there is when it comes to your health, you will learn more once you use this device. The device measures your weight, of course, but there are six other pieces of data that the product can deal with, and here they are: body mass index (BMI), resting metabolic rate, body fat percentage, visceral fat percentage, skeletal muscle percentage, and body age. The accuracy of this device is comparable to the accuracy of similar devices that clinicians use to assess the seven measurements mentioned above. Six sensors are used, with four on the feet and two on the hands, to determine body metrics with great accuracy. Every time you take down your vital statistics with this device, you can store the data for future reference, for a 90-day period. That way, you can compare present findings to immediate past findings. Health-conscious people and families can take advantage of the Omron HBF-514C Full Body Composition Sensing Monitor and Scale. They can take down important body measurements right in their own home and then plan fitness programs with the help of qualified professionals. Many gyms and clinics can also use this device so that their clients will know how healthy they are in general. The device is as accurate as the devices many clinicians use in measuring the seven body measurements mentioned. The price is considerably lesser, though, as the device is intended for mass use. By comparing present findings to recent past findings, you can easily modify a fitness routine so that your body will change according to your desired change of metrics. Moreover, you can determine if you are successful, or progressing, in meeting fitness goals or not. You can store data for up to four people with this device. The device relies on four AA batteries as power. With the four batteries in place, it can work for a year (if used four times per day; if you use it less often, your batter power will last longer). You do not have to rely on power cords for it to work. Many people report inaccurate measures when using the device on some occasions. However, this can be averted by following strict instructions on how to attach the sensors to the hands and feet. 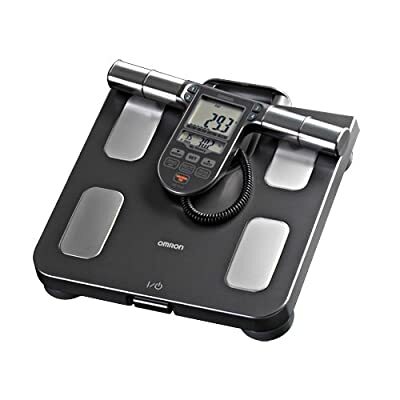 With the accuracy, the price, and the convenience that the Omron HBF-514C Full Body Composition Sensing Monitor and Scale can bring, you can be assured that you can do something meaningful with your current health state. Seven body measurements allow greatly detailed analyses and action; the accuracy and price enable home use. So far, Amazon is the best place for you to buy the product; you can read various reviews there for more information on how to use it. Because of free shipping and affordable prices, Amazon is the preferred place for buying this device.